"Beyond my expectations, I came here when they started tearing the roof off, and then I left. Then I got a call from James and he said we should get together, and I said, "how about tomorrow? ", and he said, "no it's going to be done today." which really surprised me, because I thought it was going to take two days to do the roof. They actually did the roof in around 12 hours, excellent. So it was a one day construction project." "The way they assembled the new roof, they didn't just use tar paper, there was a special underlayment they used to prevent any ice or snow from coming back up, and also the lifetime warranty was very interesting to us, that was probably the big seller. Everytime, I called them I got an answer, I got somebody to call me back right away, no problems with Pinnacle at all. Very, very helpful, very timely. We had a lot of color choices and we liked the style of the roof, and they also put a breather at the top of the roof, which we like, and that was pretty much it, but the color choices were excellent... we liked that." 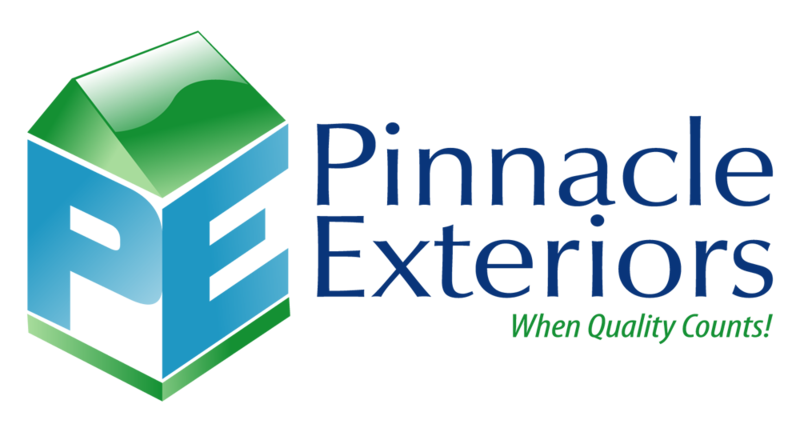 "The receptionist at Pinnacle really was very professional, and very good at her job, which made me want to proceed with the salesman coming to the house. So when Tony got here, he was very thorough with all of the material, went through everything, all of the options, and took a tour of the roof, went to the attic; and we're real pleased with Tony, he did an excellent job on the front end of the work." "So when Tony got here, he was very thorough with all of the material, went through everything, all of the options, and took a tour of the roof, went to the attic; and we're real pleased with Tony, he did an excellent job on the front end of the work. "Clean up was absolutely outstanding. They have a magnet on wheels they go through the yard, and every nail was gone. So, the yard was left exactly as they found it, there wasn't any tar paper, there wasn't any construction material, anything, it was done perfectly. I was very pleased with that." "The way they assembled the new roof, they didn't just use tar paper, there was a special underlayment they used to prevent any ice or snow from coming back up, and also the lifetime warranty was very interesting to us, that was probably the big seller." See what other customers from Emmaus say about us! "I was impressed with how fast the roof was installed, everyone was so nice."